This easy make-ahead breakfast recipe is chocolaty, delicious, and tastes just like a brownie. Plus, it's nutritious! Sounds perfect, right? The first month of 2016 is already behind us and I can confidently say that I'm doing great on my goals for the year. I've been working hard to implement small changes in my life to make a healthier me, and so far so good. One of the biggest challenges for me has been eating breakfast during the week. I used to only have coffee and call it good, and my first true meal of the day was lunch. We all know that's not good for our bodies, as we need nourishment to get our day off to a great start. You've heard me talk about the importance of breakfast several times already over the past few weeks (sorry for the repetition! ), but it is something that I feel really strongly about. 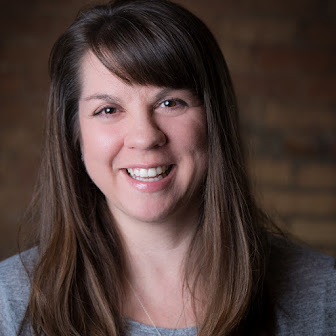 With two teenage boys, I have to practice what I preach so that they'll follow in my footsteps, and I'm hoping you'll see the importance and do the same. That's why I'm taking the 7-Day Breakfast Challenge! Starting today, I'm focusing on my first meal of the day and planning to enjoy a nutritious breakfast for 7 days straight. Want to join me? The best way to get myself to eat a nutritious breakfast in the morning is to make sure I have something easy on hand that's ready to go. If it takes too long to make, chances are I won't have time. Since I work from home part time, some days are better than others, but you know what I mean. 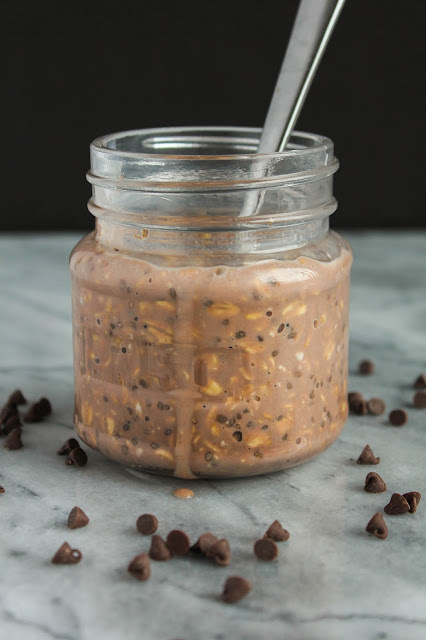 Overnight oats have been a game changer for me. There are so many different options that you won't get tired of eating them, and you put it all together the night before so that in the morning it's ready to go. 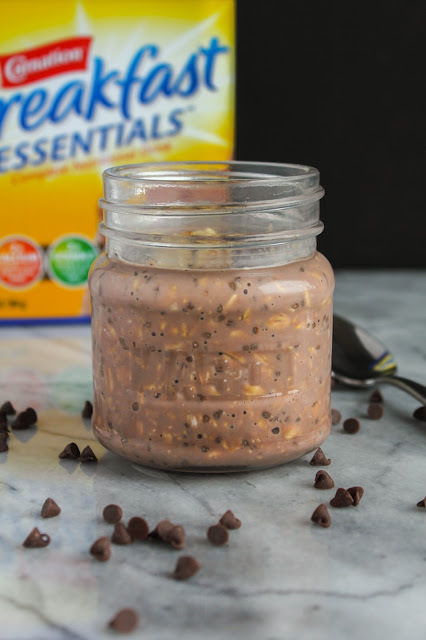 This time around I used Carnation Breakfast Essentials® Rich Milk Chocolate Powder to make a decadent dish of Brownie Batter Overnight Oats. Seriously, it tastes just like you're eating a brownie! But it's breakfast. And it's better for you. 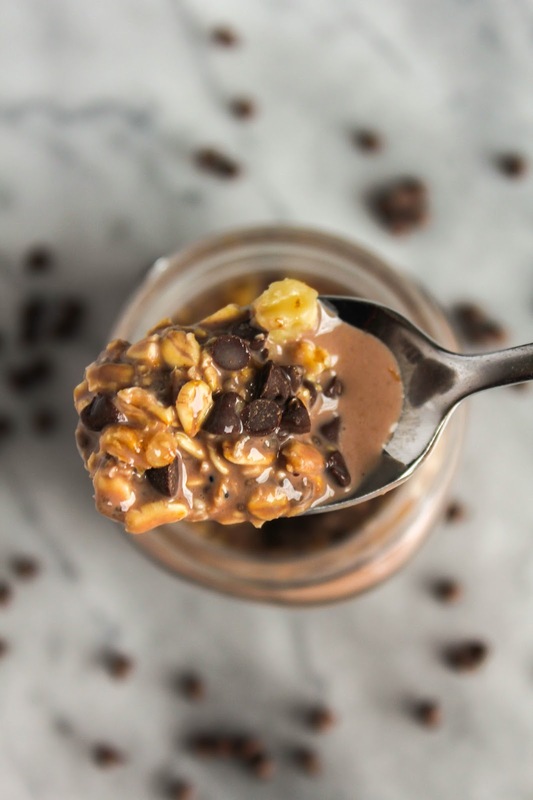 The Carnation Breakfast Essentials® come in chocolate, vanilla and strawberry flavors, so you could create a dozen different delicious combinations of overnight oats. When I'm really pressed for time, I love grabbing one of the Carnation Breakfast Essentials® Ready-to-Drink bottles. They are perfect for on the go and in the car, and are filled with vitamins, minerals and protein. 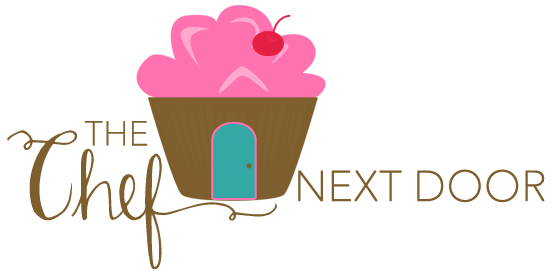 Are you ready to take the 7-Day Breakfast Challenge with me? You can complete simple breakfast missions throughout the month of February for the chance to win great prizes! Find out how at the bottom of this post. To get this party started, let's make this delicious breakfast! 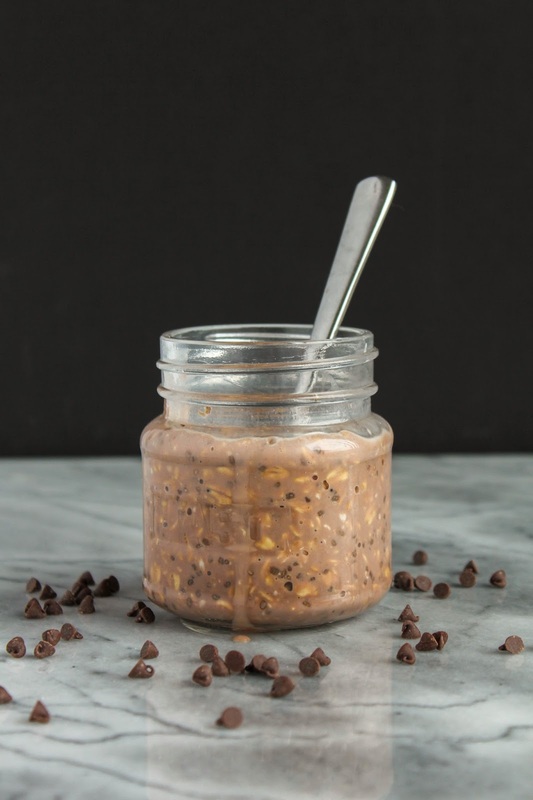 In a small bowl or mason jar, mix the oats, milk, chocolate powder, chia seeds, vanilla and salt. Cover and refrigerate overnight. Top with the mini chocolate chips and chopped walnuts before serving, then dig in! 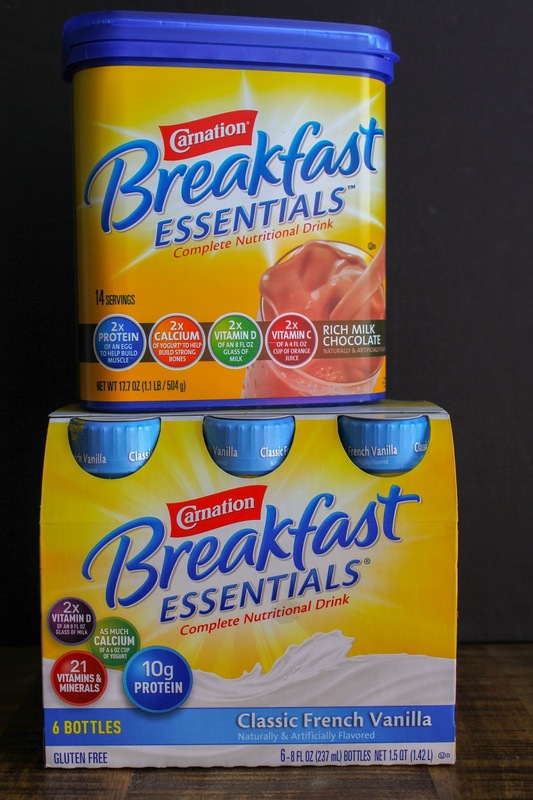 I found the complete line of Carnation Breakfast Essentials® products at my local Kroger in the Breakfast/Cereal aisle!